The Hobe Sound Public Library has the distinction of being the first branch of the Martin County Library System. In the early 1980s library services were provided by a portable trailer, which was parked for two weeks each month in Hobe Sound. Recognizing that the library needs of Hobe Sound were not being met, the community joined forces to raise money for a library. Hobe Sound Branch Library opened up in a remodeled medical building January 29th, 1984. Groundbreaking for the new 10,000 square foot library began in 1998. The beautiful new library, renamed Hobe Sound Public Library, opened in September 1999. 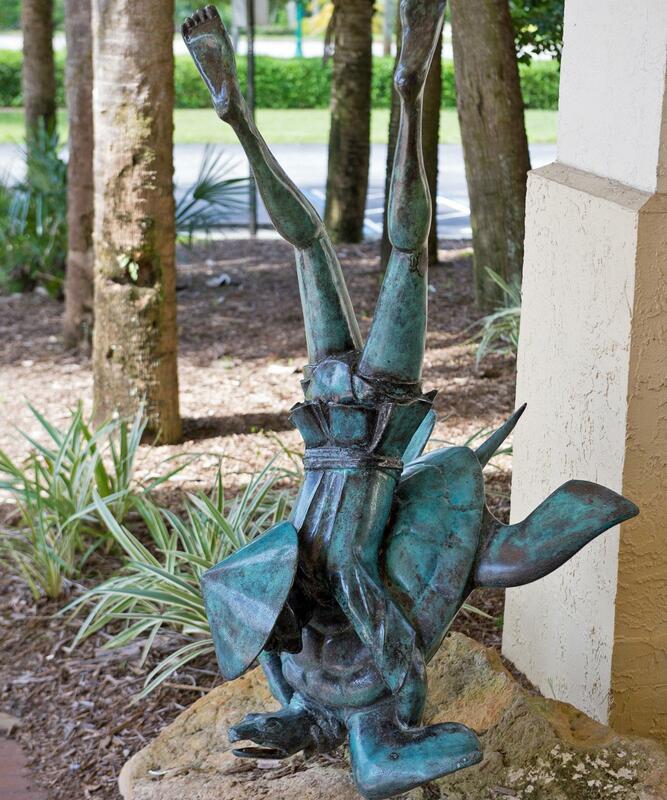 The sculpture Pearl Diver by V. Shaffer was donated jointly by the Friends of the Hobe Sound Library and the Historical Society of Martin County to commemorate the opening of the new Hobe Sound Public Library. Overlooking the main entrance is the public art piece Shell Game by Charlotte Lees, featuring turtle shells carved in wood. Tuesday, Thursday, Friday, Saturday: 10 a.m. to 5:30 p.m.
Wednesday: Noon to 8 p.m.